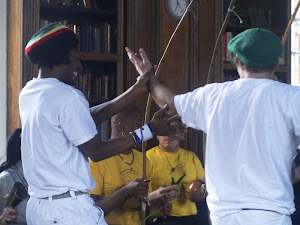 This Wednesday at the YMCA Stockwell - South London Capoeira Angola and FICA London will hold the Memórias da Gingibirra at 7.30. All are welcome. Stockwell YMCA is easy to get to just a few minutes down Stockwell rRoad from the tube station. Also please see the information below about the visit of Mestre Armando to London.